The use of a VoIP service to call 911 has been available for some time, but it should be noted that not all VoIP services support 911 emergency services calling. 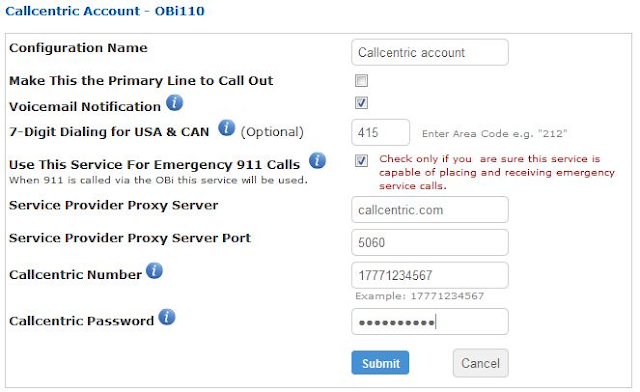 Since the OBi device has the capability to be used with many different kinds of VoIP and (in the case of the OBi110) land line services, Obihai make it a point to warn users that the services they configure on the OBi may or may not support emergency services calling. OBi users should take precaution to ensure that the emergency calling capability is known to those who use the phone. It is also a very good idea to have alternative means of reaching emergency services, e.g. a mobile phone or traditional land line service. After this, you will be redirected to Anveo's web site to verify your home address and complete the sign-up. As long as everything is in-order, your OBi will be automatically configured for emergency services calling. Every OBi device supports at least two VoIP services which can be used to reach regular phone numbers. One of the services can be used as the Primary Service to which most calls will be sent. 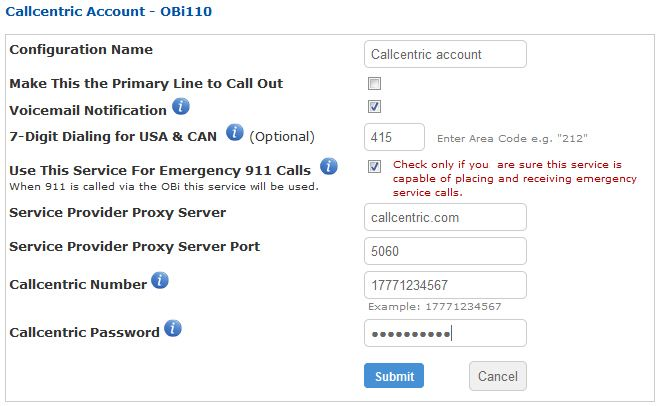 If this service is a service that supports 911 calling, like that provided by Callcentric and VoIP.ms, calls to 911 from the phone attached to the OBi will be sent to this service. It should be noted some OBi users choose Google Voice as their Primary Service to make calls to such numbers. Google Voice is not capable of placing or receiving emergency service calls.